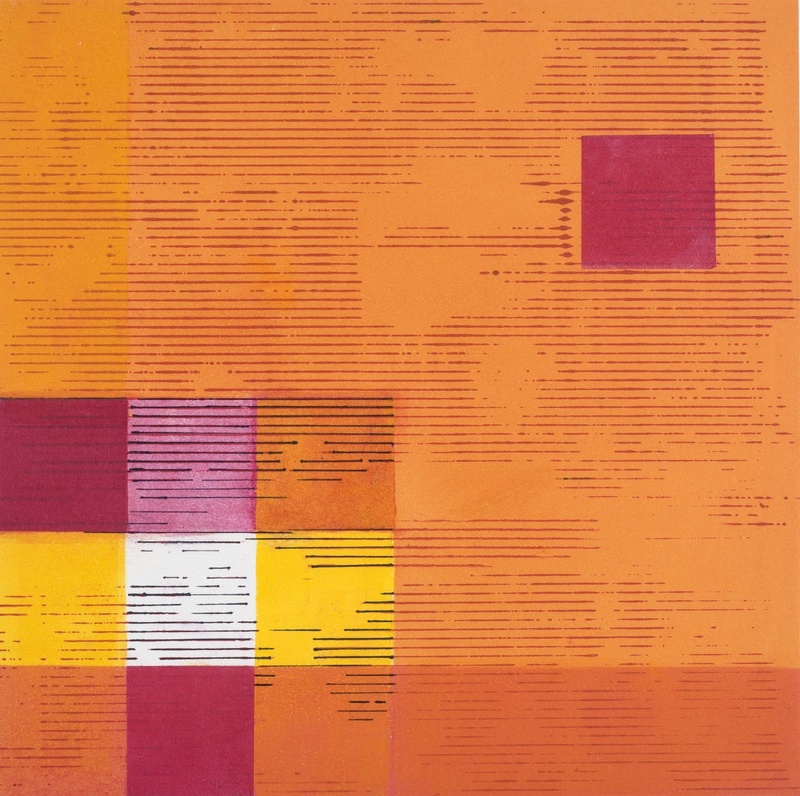 Terri Fridkin is best known for her dynamic, abstract and mixed media prints that embody intense color and graphic shapes. Terri lives and works in the Philadelphia area. She is a Natinal Honor Society graduate of Drexel Universisty Nesbitt College of Design Arts. Terri has presented solo shows at Muse Gallery and Main Line Art Center. Selected juried and invitational exhibitions include Woodmere Museum, Philadelphia, PA; The State Museum of Pennsylvania, Harrisburg, PA; City Hall, Philadelphia, PA; The Galleries at William Patterson University, Wayne, NJ; Southern Printmaking Biennale VII International Juried Exhibition, University of North Georgia; Washington Printmakers Gallery, Washington, DC. She has won numerous awards including three Best of Shows. Terri is represented by Muse Gallery and is a member of The American Color Print Society, The Cheltenham Guild of Printmakers, and Star Wheel Printers.